425,000 Posts Celebration!! ~ "A thing of beauty, and a joy forever"…Let's celebrate! 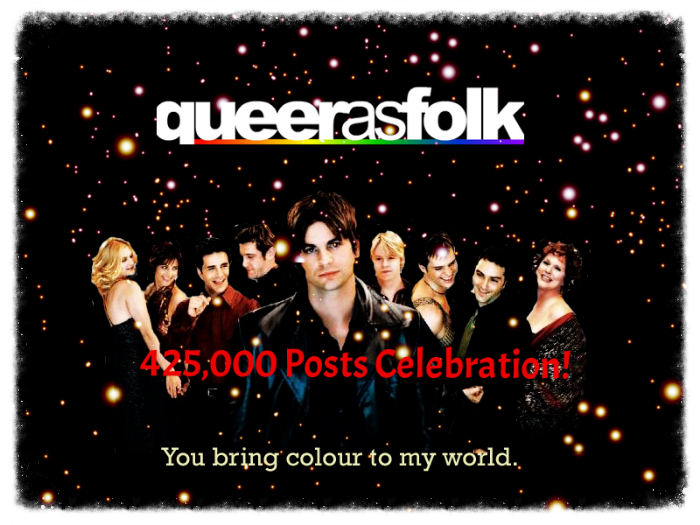 Welcome To The Queer As Folk 425K Celebration Thread! We would like to give a special shout-out to the Penny Dreadful Board for the December Posting Challenge. If it wasn't for you beautiful and satanic people, we wouldn't have hit 400K so quickly in December…PLUS…not two weeks into January another 25K, that brought us up to 425K!!! So thank you BB's!